There is a nut on this 'Marion' hazel planted in 2016. 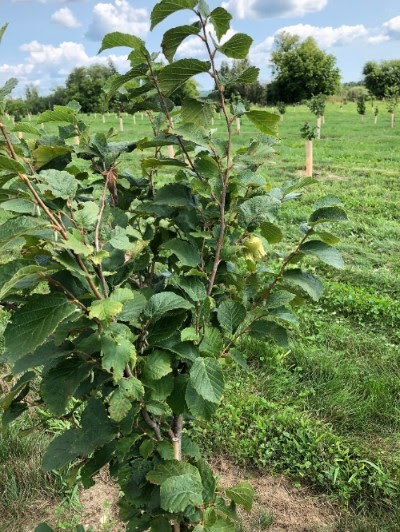 And notice the excellent weed control which helps with the success of your orchard trees allowing all moisture to get the roots of the tree instead of competing with weeds. Welcome members to the first edition of "Your Nuts This Month"! 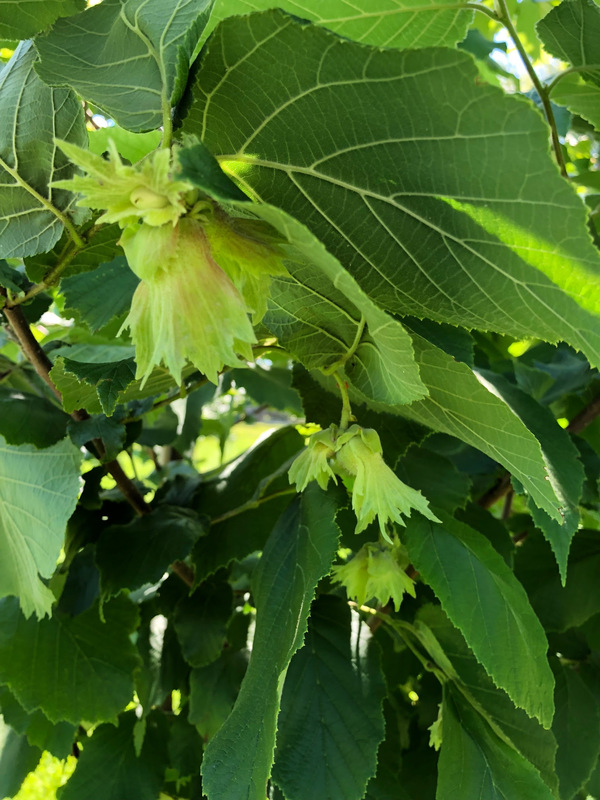 We hope to bring you pictures of developing nuts and orchards from four growing zones throughout Ontario each month so you can compare what you see in your own orchards with those in your growing zones. Enjoy!